The ripening of the small fruit is gathering steam. The fruits we typically call "berries" are, in the botanist's lexicon, aggregate fruits composed of numerous small, single seeded individual fruits called drupelets. In you look closely, you will notice they are essentially tiny cherry-like fruits borne on a receptacle and fused on their flanks. 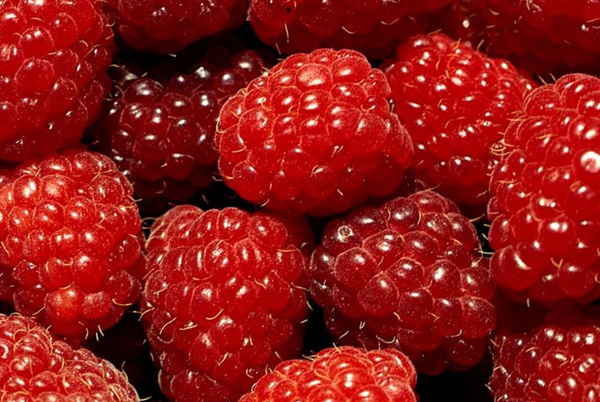 In the raspberries, the drupelets fall free of the receptacle, leaving a hollow fruit. In the loganberries and most of members of the group, the receptacle remains attached to the drupelets, and "the berry" detaches at the stem. Each drupelet retains a bit of the stigma that was pollinated to produce it. Damp, cool days during pollination result in fewer bee visits to each flower, and smaller fruit because fewer stigmas are pollinated. Members of the genus Ribes, the gooseberries and currants, produce true berries. The general definition of a berry is "a pulpy fruit enclosing several seeds." Tomatoes and grapes are also berries in the botanist's world. The Ribes are very good for preserves and jellies. Red currants are often combined with raspberries to make jam because they have a high pectin content. 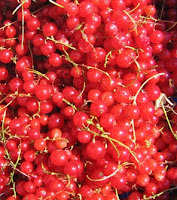 Red and black currants produce good juice. For the best quality and yield, use a steam juicer such as the Mehu Liisa, developed by Finns desperate to preserve the essence of summer. Generally neglected in North America, the berries of Ribes are very nutritious and deserve a more prominent place on the table. The individual currants (right) are on a raceme called a "strig" in the trade. The strig should be removed before the fruit is used. The stem lends an off-flavor and bitterness if it is cooked with the fruit. The classic kitchen trick is to use a fork to comb the individual berries off the strig. Works, but it gets tedious. A more efficient method is to put the fruit in the freezer, and when the berries are frozen, the stems can be rubbed off without making a mess of the berries. Insulated gloves are useful if you have a lot of currants to clean. As an aside, the currants of the genus Ribes bear no relationship to the black, wrinkled raisins called currants. Those small, dried grapes originated around the ancient Greek city of Corinth, and the word "currant" as applied to them is merely a British corruption of that ancient city's name. The grape used to produce those raisin is also sold as the "Champagne Grape," though there is absolutely no connection between those grapes and the sparkling wine than lends its name to them. 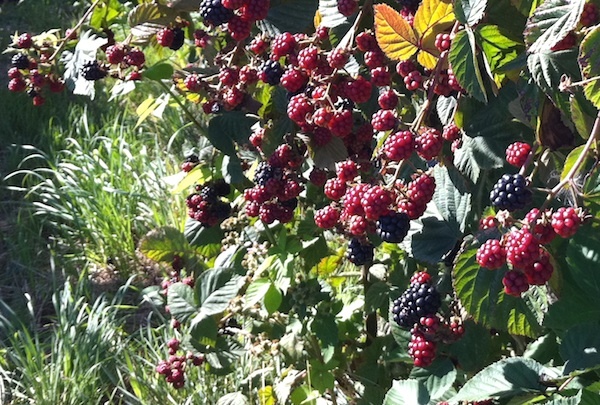 Just yesterday I braved the (extremely) overgrown berry field and made my way down to the currant patch. The bushes are loaded! I picked about half of them, filling my bowl. I then enjoyed a glass of wine outside on the deck while tediously picking off all of those little stems. The berries are now drying in the dehydrator. I didn't realize that commercial currants are actually grapes! The dried currants are pretty tasty. I've heard that fresh currants can be frozen and used in the place of lemon juice in recipes. I'll do that with my second picking. Last year I made pectin with them, and that worked well, too. Thanks, BG…keep me posted on how they turn out!